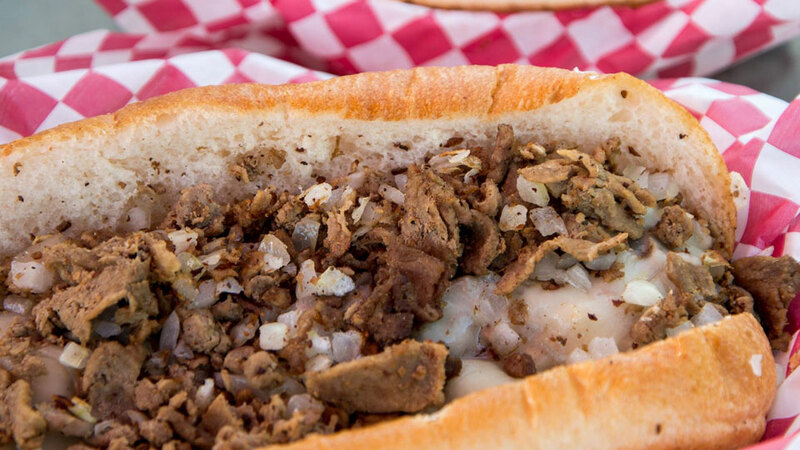 Bruneau’s South Philly Cuisine is a food cart located downtown that serves authentic, mouthwatering Philly Cheese Steaks throughout the year. They also offer Gyros and Spicy Hot Sausage sandwiches during the summer. Bruneau’s is owned by Ron (a Philly native who grew up only a few blocks from where the Rocky movies were filmed) and Andrea Brown. Established in 2014, Bruneau’s has served tens of thousands of sandwiches throughout Central Oregon at festivals, privately catered events, and in the heart of downtown Bend where the food cart can be found each week. Open late nights downtown seasonally, Bruneau’s can provide a classic late-night handheld meal Fridays and Saturdays until 2:30 a.m.! As a self-proclaimed food critic, Ron wanted to bring the food that he loved and that had impacted his life from the East Coast to Bend, and he wanted it done right. It took them over a year to perfect their rolls. They overnight shipped four of the famous Amoroso rolls from Philadelphia to Bend and found a commercial baker who could almost perfectly match the rolls to ensure an authentic food experience.